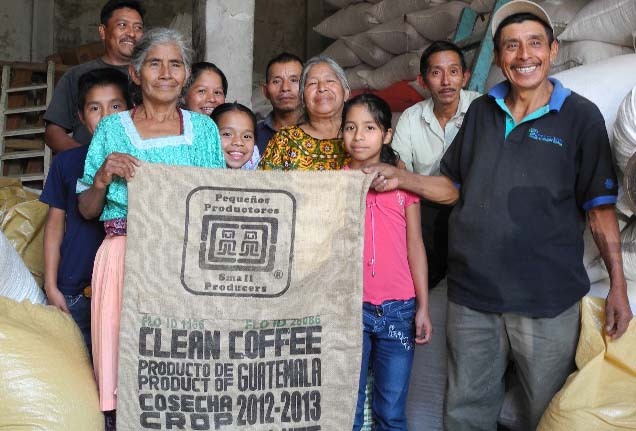 APECAFORM was founded in 1992 with startup aid from the Guatemalan Catholic diocese, and a mission to stimulate local, small-scale coffee production. 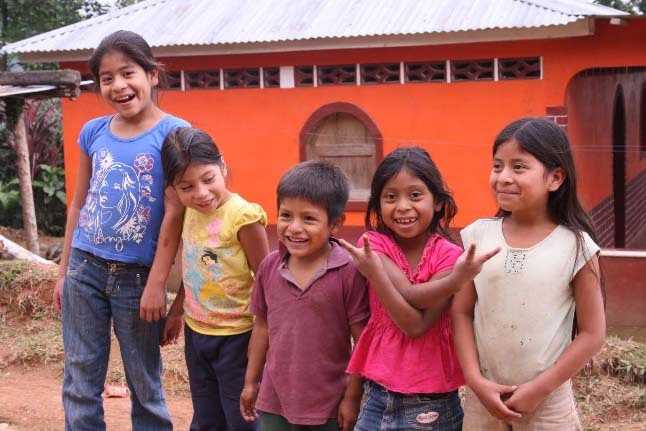 Today, the cooperative represents some 400 members spread throughout 17 communities, and is committed to the preservation of its members' Mayan culture and agricultural traditions. 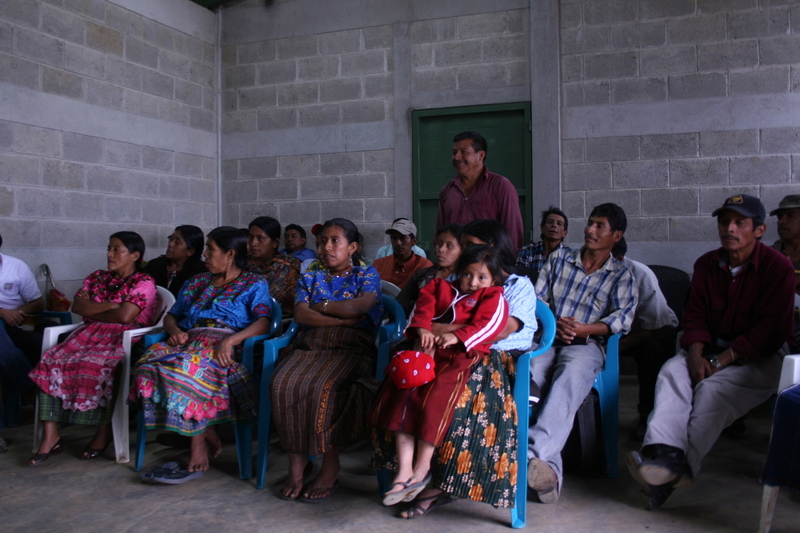 The cooperative is centralized in Pueblo Nuevo, where final coffee processing steps are centralized, and where members attend organizational meetings and training programs. APECAFORM is organized through a democratic process, with five community centers stationed throughout the region to collect coffee and provide leadership to local farmers. Each center elects its own Board of Directors. Additionally, APECAFORM maintains 21 local organic promoters who serve to coordinate social projects, as well as to train members on organic agricultural practices and marketing. Members of Apecaform proudly display their first export sacks carrying the Small-Producer Symbol (SPP). Manos Campesinas, and second-tier export cooperative, was established in 1996 to handle buyers' contracts and export processes for APECAFORM and other producers in the region. Manos Campesinas received Fair Trade certification in 1997, and APECAFORM producers received Organic certification in 2003. Since introducing the Fair Trade program through its partnership with Manos Campesinas, APECAFORM has effectively tripled the prices that producers could command for their coffee. 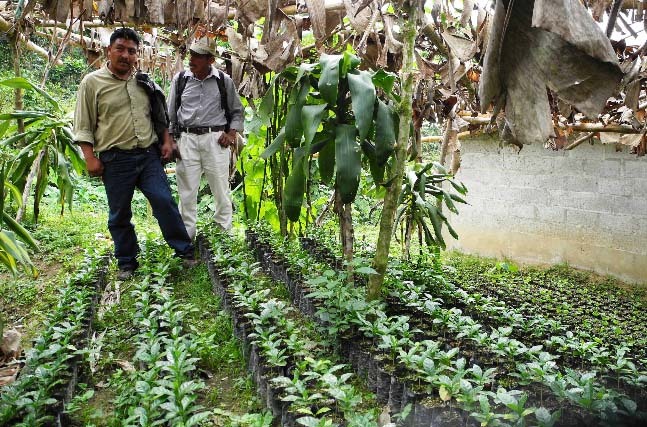 The Fair Trade premiums have supported several community projects, including the construction of a central coffee storage warehouse in Malacatan, the development of experimental plots for coffee production testing, and funding for the organization's organic promoter network. Through continued partnership, APECAFORM and Mano Campesinas together plan further community development projects, including construction of a central wet processing facility, the development of a roastery, and the building of a café in Quetzaltenango for direct sale to locals and to the tourist market. APECAFORM's producers are located throughout the southwestern highlands of San Marcos, Guatemala and on the slopes of the volcano Tajumulco. Farmers generally grow coffee at elevations ranging between 1,000 to 1,900 meters above sea level, with Typica, Caturra, and Bourbon being the most commonly cultivated among APECAFORM farmers. Harvest takes place from November to March, resulting in a distinctively Guatemalan coffee characterized by bright acidity and a medium body, with notes of milk chocolate, spice, vanilla and caramel. 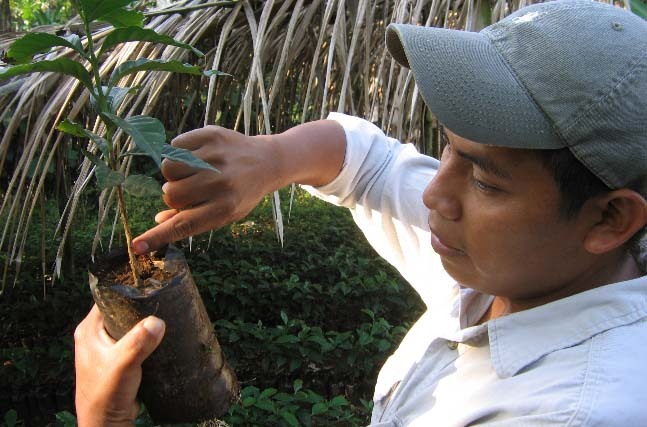 A coffee farmer inspects a coffee seedling. Manos Campesinas in coffee nursery.